Sugars can occur naturally in some foods, such as fruit and dairy products, but they can also be added to a wide variety of foods. 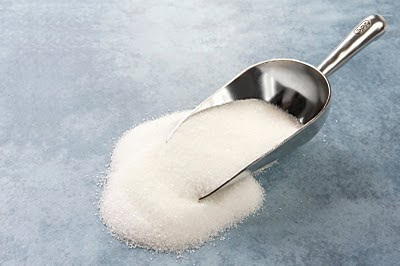 Sugars are popular in the processed food industry because they add taste, color, bulk and thickness to food products. They also prevent mold from forming and act as a preservative. Sugars have been used to sweeten foods for centuries and have now become the number one food additive. Refined (or processed) sugar can be very difficult to avoid unless we prepare all our own food from scratch. It creeps into sauces, salad dressings, cereals, peanut butter, canned vegetables, bouillon cubes, medicines, toothpaste, vitamins and almost all processed ‘fat-free’ products, all under a variety of different names. Sugar can take many different forms including white, raw or brown sugar, honey or corn syrup. Refined (or processed) sugar provides a quick, simple source of energy but it contains no other nutrients such as vitamins and minerals. Processed sugars appear under many different names: glucose-fructose, fructose, fruit sugar, corn syrup, high-fructose corn syrup and beet sugar which can be dangerous to our health. Glucose – a product of photosynthesis (in plants) and is a naturally-forming sugar produced by the body after consuming certain types of foods such as starches. Fructose – the sugar found naturally in fruits and many vegetables. Sucrose, also known as table sugar or white sugar, is made up of two simple sugars – fructose and glucose. Glucose is used by our body for energy, and fructose is quickly changed into glucose in our body. Brown and Demerara sugar are sometimes suggested as natural alternatives to white sugar, however this is a misconception. Brown and white sugars are virtually the same - the only difference is that molasses has been added to the refined sugar after processing. Although honey is a natural sweetener, it contains the same simple sugars as table sugar - fructose, glucose and sucrose - plus it is sweeter and has a higher calorie content. However, it does have some trace vitamins and minerals that table sugar does not. Today, the most sugar we consume is high fructose corn syrup (HFCS). It is added to food because it’s a cheaper, sweeter, more easily transportable option than sucrose. Although it too contains a combination of glucose and fructose, as the name suggests HFCS is made from corn making its structure different from sucrose. HFCS is commonly used to sweeten soft drinks, fruit juices and can be found in a variety of unlikely places including ketchup, pasta sauce, salad dressing, bread and condiments which is why it is so easy to consume. When your body digests carbohydrates, it breaks down the molecules into glucose. Glucose provides your body with energy that feeds your muscles and cells. It's also used by your brain and is beneficial for learning and memory. While a little bit of glucose enhances your cognitive functions, too much will impair it. The Glycemic Index (GI) is a measure of how a food affects blood-glucose levels. Low GI foods such as beans, nuts, and leafy green vegetables, are absorbed and digested slowly. This provides a gradual, healthier infusion of sugars into the bloodstream. High glycemic foods such as soft drinks, candy, pasta and potatoes, increase blood-glucose levels quickly. When this happens the pancreas makes more insulin drop the blood-sugar levels and will cause you to feel hungry again sooner. These rapid fluctuations of blood-sugar levels are not healthy because of the stress they place on the body. Low GI foods help you manage weight, diabetes, reduce the risk of heart disease, improve blood cholesterol levels and prolong physical endurance. Eating large amounts of sugar has been linked to health problems such as obesity, Type 2 diabetes, cancer and osteoporosis. Studies have shown that fructose is absorbed by the body differently than other sugars. When fructose is consumed it appears to behave more like fat, and if the body does not use it, it will be stored like fat. As well, it is thought that fructose can trick your body into thinking you are hungrier than you are. While fruit contains fructose, it is only in small amounts compared to the amount in processed sugars. And fruit also contains fibre, vitamins and nutrients that are beneficial for the body. . Glucose, however, is registered differently by the body allowing it to be used as energy and helping it control appetite and fat storage. Sugar does NOT cause diabetes. Diabetes is caused by factors relating to body health and heredity. The most common form of diabetes is caused when the pancreas fails to produce enough insulin when the blood sugar rises. When there isn’t enough insulin, glucose can’t get into the body’s cells and the glucose builds up in the blood instead, making it so the cells don’t work properly. Diabetes can lead to dehydration, liver failure, heart attack, stroke, coma, and blindness. Ask your doctor if you think you’re at risk for diabetes. Studies suggest that excessive sugar consumption can aid in the development of cancer. While it doesn't directly “feed” the cancer cells, when you eat a lot of sugar, your body produces a lot of insulin. Insulin is a natural substance made by the body that can “rev up” cell growth. This is good for healthy cells, but excess insulin can also encourage cancerous cells to grow more. Most sugar is comprised of empty calories, so when it is eaten, your body is forced to borrow vital nutrients from healthy cells to make up for the incomplete food. Calcium, sodium, potassium and magnesium are taken from various parts of the body and used as nutrients elsewhere. Calcium deficiency can make bones thinner and less dense, which can result in tremendous pain and easy fractures. Bacteria in the mouth convert sugar into acid that will eat away at the protective enamel on our teeth, rotting them and meaning frequent trips to the dentist. How much sugar is tolerable? How much is bad for you? Our modern society is addicted to sugar. In 1915, sugar consumption was about 15 to 20 pounds per person/per year. In 2009, the American Heart Association estimated that on average each American consumes 22 teaspoons of added sugar per day- that’s about 70 pounds of sugar each year. There are currently no accepted scientific national or international limits on sugar consumption. However, the American Heart Association (AHA) suggests that no more than half of your daily discretionary calorie allowance come from added sugars. Your daily discretionary calorie allowance consists of calories available after meeting nutrient needs. (about 6 teaspoons or 26g). (about 9 teaspoons or 40g). In 2003, the World Health Organization recommended that added sugars should form no more than 6-10% of total dietary intake. Consider other varieties of natural sweeteners such as rice syrup, Amasake, Barley malt, date sugar and fruit juice concentrates. Taste preference is learned from a young age. Try not to offer sweet foods to children frequently as they will be more likely to develop a preference for them. Sugar substitutes contain no calories and do not affect blood glucose levels. Thus they can be useful to diabetics and people looking to maintain a healthy weight. While any sweetener must undergo rigorous testing there continues to be much debate over the side affects of artificial sweeteners. Aspartame - Equal™ and Nutrasweet™. Used in soft drinks, yogurt, candy and as a table-top sweetener. Not for use in home cooking. Safe for use by pregnant women. Sucralose - Splenda™. Used in soft drinks, candy, baked goods and frozen desserts and ice cream products. Used for home cooking and safe for pregnant women. Acesulfame potassium - not used as a table top sweetener. Used only by food manufacturers to sweeten soft drinks and candy. Should be avoided by people on low potassium diets. Safe for use by pregnant women. If you’re taking antibiotics that contain sulfa, this product may interfere with your medications. 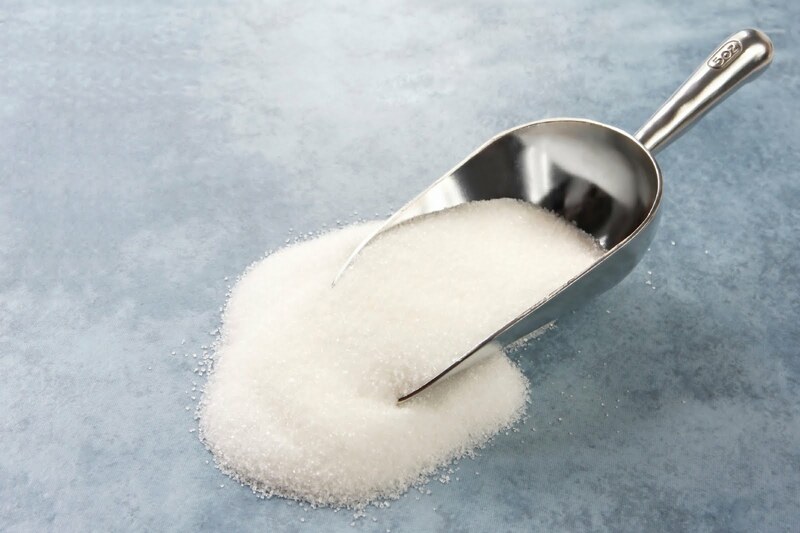 Sugar alcohols - (sorbitol, mannitol, maltitol, xylitol) can’t be bought as table sweeteners but are used by food manufacturers in foods such as candy, frozen desserts and ice cream products. Sugar alcohols aren’t “true” artificial sweeteners – they do provide small amounts of calories that may affect blood glucose (sugar) levels. Large amounts (more than 10 grams/day) can cause diarrhea, cramps, gas and bloating. Cyclamate - table top sweeteners Sucaryl®, Sugar Twin® and Sweet ‘N Low®. Not recommended for cooking and should be avoided during pregnancy. In moderation, both sugars and artificial sweeteners can be part of your healthy eating plan.